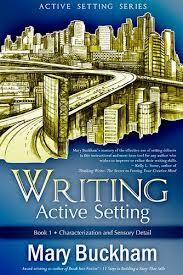 Setting essays discuss the literary element that helps define a short story or novel. Paper Masters can compose a custom written research paper on Setting that follows your guidelines. In the best literature, literary elements such as plot, characterization and setting are exploited to their fullest potential and are used in conjunction to create a complete work. For example, the central apple tree in James Joyce’s “Araby” is part of the setting but is also a symbolic representation of the tree in the Garden of Eden. This further helps to define the religious tone of the story. It is this unifying religious tone that makes “Araby” such a good story. The setting certainly reflects this tone with its symbolic apple tree located behind the house whose previous occupant had been a priest and the nearly empty bazaar with its “silence like that which pervades a church after service.” The plot traces the affection of a young boy for his friend’s older sister. Eventually, he goes to the bazaar to find her a gift much like a knight on a religious crusade. The bazaar’s name, Araby, and its vases that stand like “eastern guards” continue this theme. The sister’s figure is “defined by light” similar to a halo and the boy presses his palms together and prays to her in devotion. Thus, the sister’s character, as defined through the boy’s point of view, is symbolic of a saint or the Virgin Mary and further substantiates the religious tone of the story. Symbolism in Literature term papers examine the use of symbolism in literature to convey deeper meanings in a story and to allow readers to look between the lines of a story. Order a research paper on symbolism in Literature from Paper Masters. Setting in Willa Cather's Novels research papers show the importance of setting in her novels such as My Antonia and The Professor's House. Setting in Shiloh is examined and our research paper writers produce custom research papers on how the setting affects Bobby Ann Mason's story. Setting in Bleak House - The setting of the Charles Dickens story Bleak House is as complex as the story line itself, as it continually changes with the various character groupings. Setting in Ethan Frome - The setting of the novella by Edith Wharton, Ethan Frome, that of the harsh New England winter, not only provides the backdrop of the story but also adds depth to the characters and provides a glimpse into their reasoning. James Joyce’s Eveline research papers identify an aspect of the text and develops an interpretation of the story. The Dead Research Papers discuss the enigmatic story written by James Joyce. A Little Cloud Research Papers look at a story about self-revelation. Paper Masters writes custom research papers on Setting and discuss the literary element that helps define a short story or novel.